As previously noted, I returned a couple of weeks ago from a visit to the Southwest border near Yuma, Ariz. 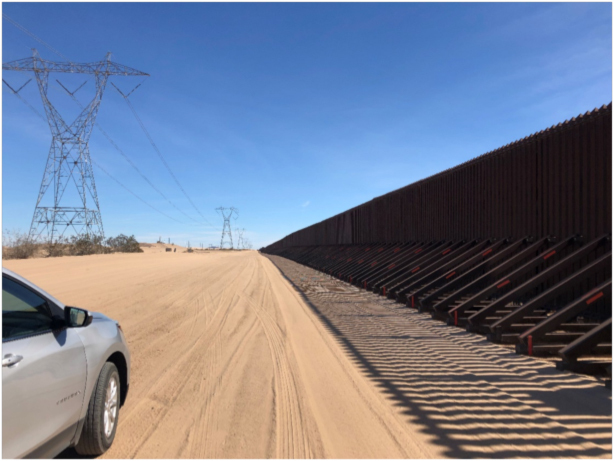 While there, I learned the most important role that infrastructure plays in securing the border: stopping vehicles that try to drive through, carrying migrants, drugs, or other contraband. Will Rogers once said: "There are three kinds of men. The one that learns by reading. The few who learn by observation. The rest of them have to pee on the electric fence for themselves." Or possibly he didn't. I personally like to think that he did, although it doesn't make much difference, because the fundamental point is clear: There are three ways to gain experience: through research, personal experience, or trial and error. With respect the latter, my father used to say: "Good judgment comes from experience. Experience comes from bad judgment." Same idea. Unfortunately, much of the debate over the border is uninformed by any of these, so in order to speak in an informed fashion about the benefits of infrastructure (including walls, fences, and barriers), I decided it was better to actually observe that infrastructure, and talk to the people who know what the area was like before and after that infrastructure was erected. So-called "drive-throughs", as the first paragraph suggests, occur when a vehicle crosses over the border carrying illicit cargo. This is a particular issue along the border, because roads, including major roads like highways, run near many parts of the border. Once on those highways, the smugglers are largely free to move within the United States, so long as they can avoid interior checkpoints. Smugglers are highly adaptive, however, so their ability to do so is significant. The president has made much of the dangers that illicit drugs from south of the border (primarily heroin from Mexico) pose to the people of the United States. As the linked article, from USA Today, suggests, critics of the border wall have been quick to pounce on this statement, quoting statistics from U.S. Customs and Border Protection (CBP) that show more drugs are seized at the ports of entry than between the ports of entry (that is, coming illegally over the border). I have addressed those arguments elsewhere, and I stand by my assessment. One fact that I did not consider, however, is that one of the reasons why port seizures are higher is because of the infrastructure that is already in place. Back to my trip. In FY 2005, I was told, there were 2,700 drive-throughs in the Yuma Sector. One of those drive-throughs, as I noted in a February 5, 2019, post, resulted in the January 19, 2008, murder of Senior Border Patrol Agent Luis Aguilar. By FY 2010, when border infrastructure was in place, the number of drive-throughs dropped to two. Not 2,000, but one more than one. That is my rental Chevy Traverse in the picture, and I had gone at most a half-mile from I-8 in two-wheel-drive to get there. Now, imagine that generic vehicle full of heroin crossing over the border to that point. Who are the Border Patrol going to stop on the highway even if they see that incursion? Every silver Chevy Traverse? That could take a while, and inconvenience quite a few innocent people. 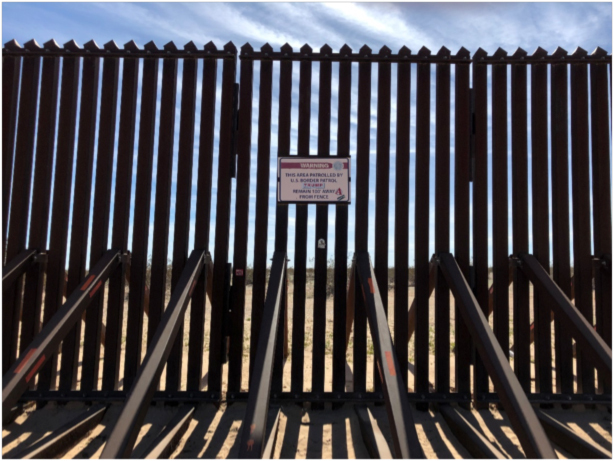 It is no wonder, now that this border fence is in place, that it is easier for smugglers to go through the port and take their chances with x-ray machines and drug-sniffing dogs. It would take a massive amount of force just to breach that barrier. I'm a huge fan of Detroit engineering, but I don't think that the Traverse would be able to do it. Or a Humvee. Right now, we're seeing a lot of bad judgment in Washington as it relates to border protection and, in particular a failure to plug the loopholes that are being exploited by aliens, especially family units and unaccompanied alien children (UAC), seeking to enter and reside in the United States permanently. Democratic threats to cut detention would just make those issues worse. Congress is faced with two choices: Plug those loopholes and build a real fence, or continue to experiment with Will Rogers' metaphorical electric one.